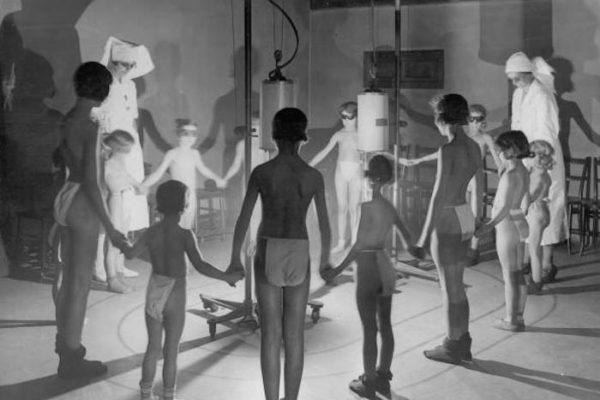 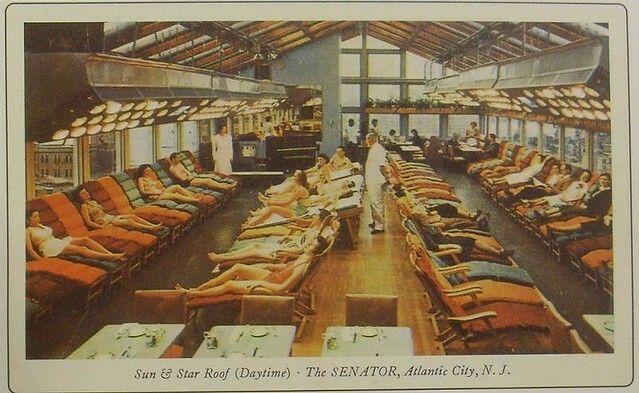 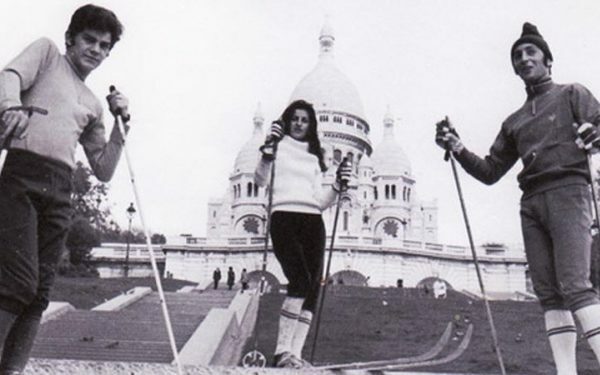 Of course, the question has to be raised; how safe (or rather, unsafe) was this Sun and Star Roof, and what kind of sunlamps were they using that didn’t require guests to even wear protective goggles? 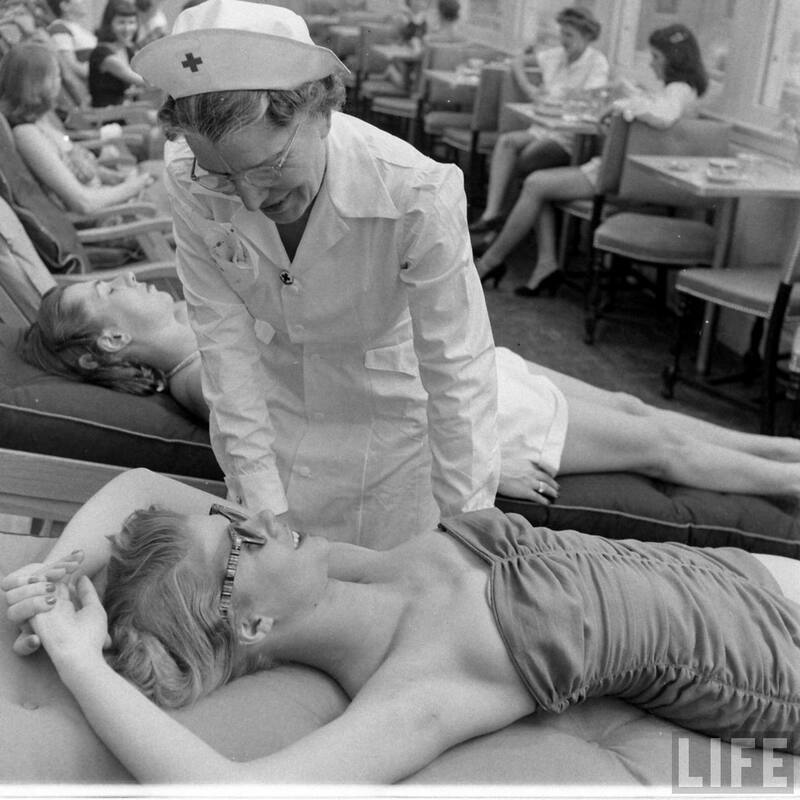 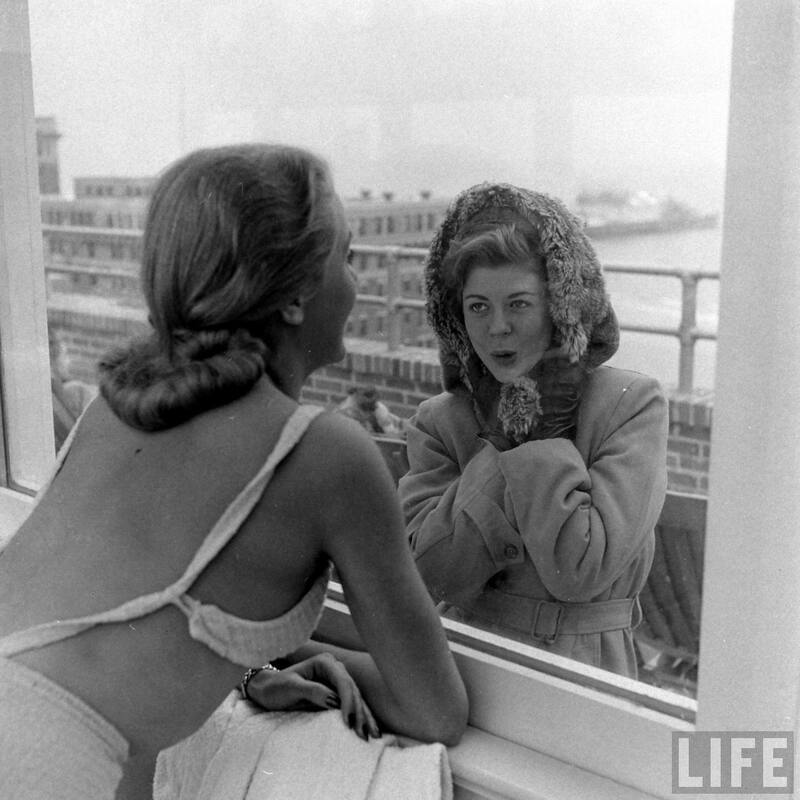 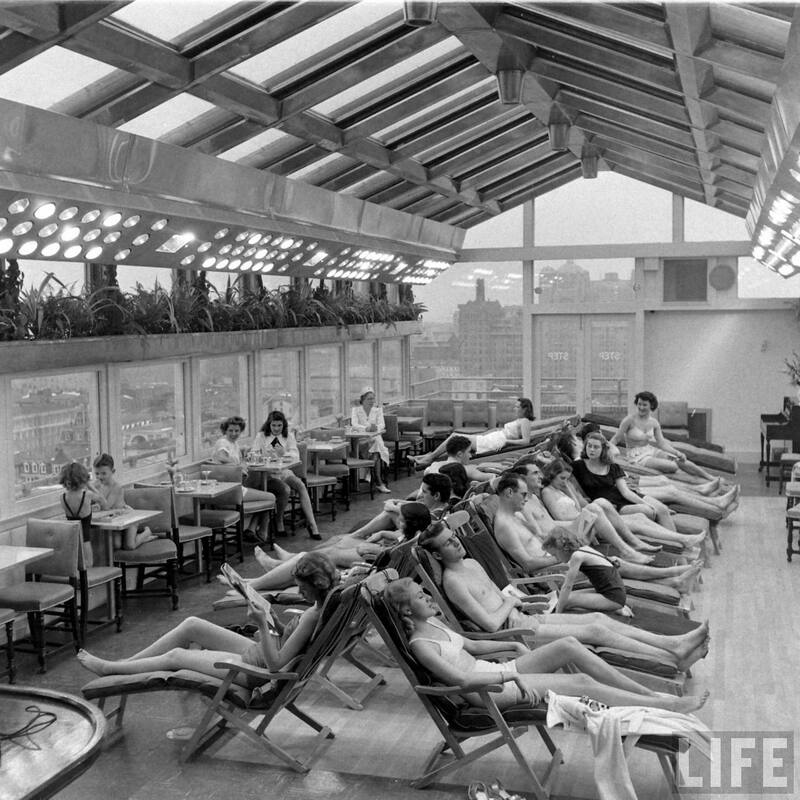 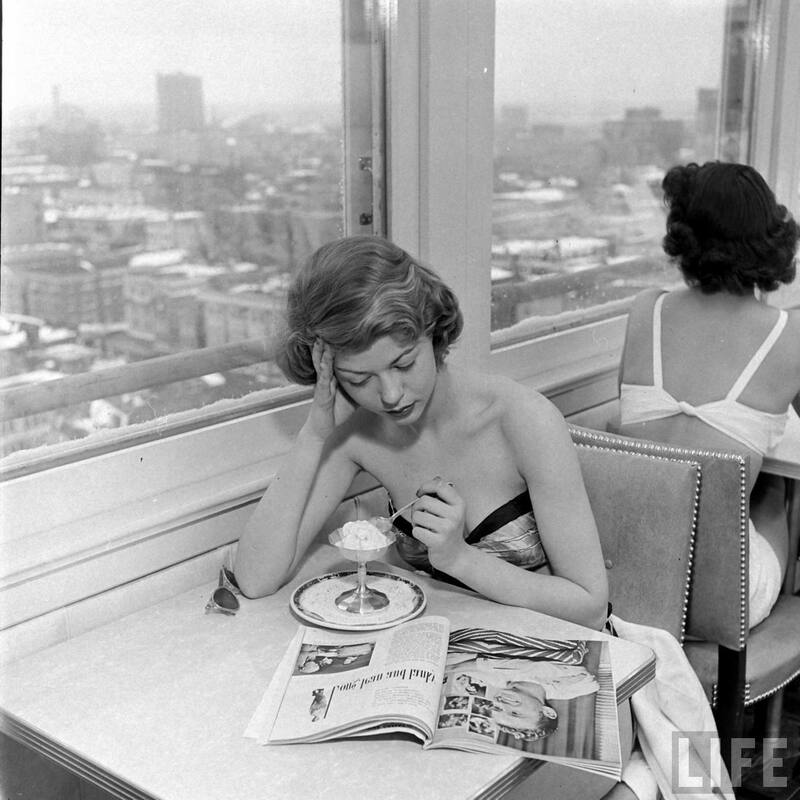 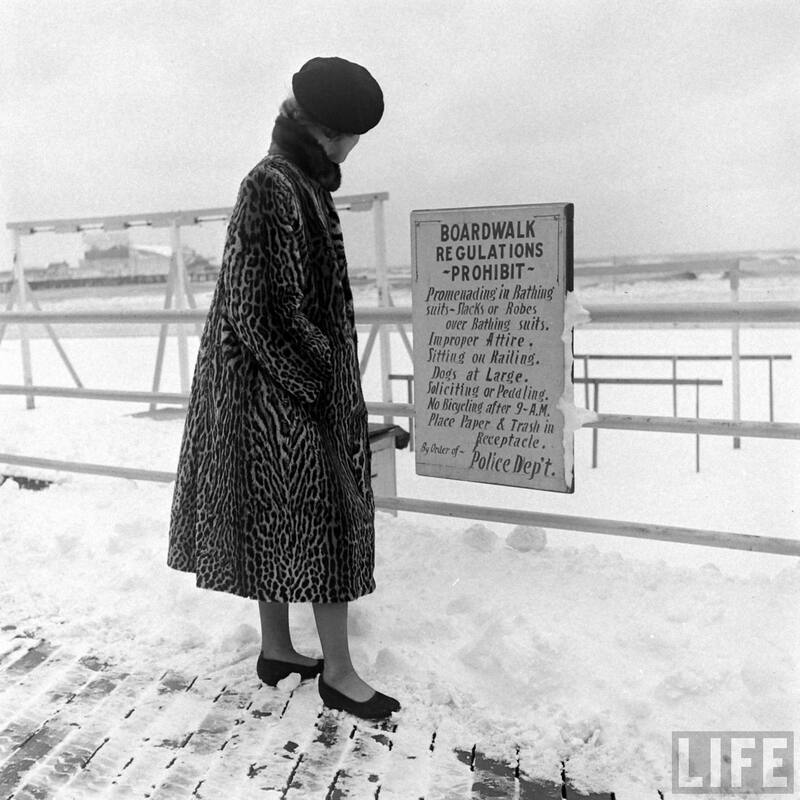 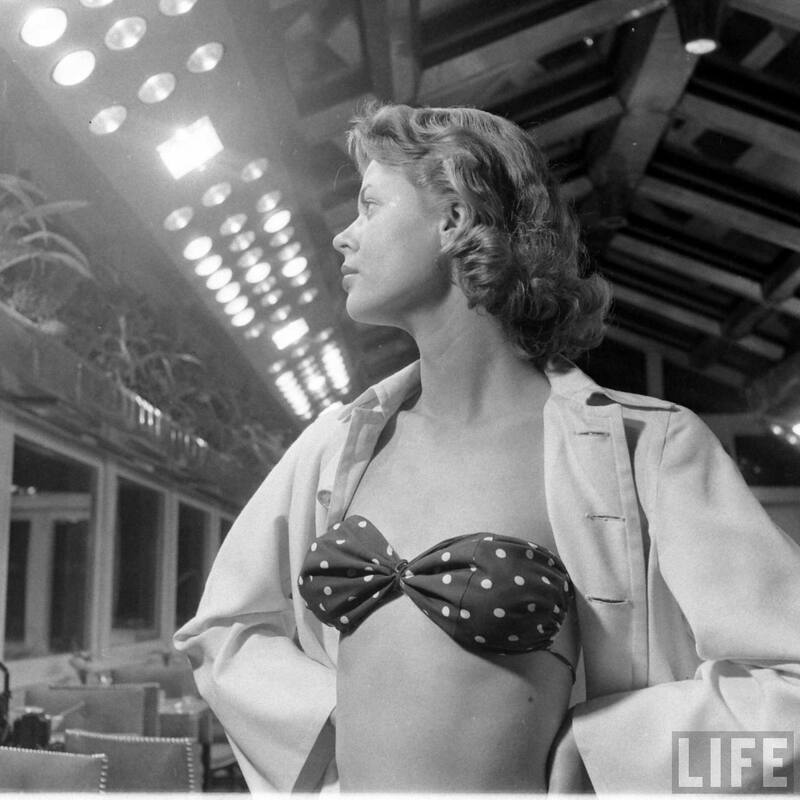 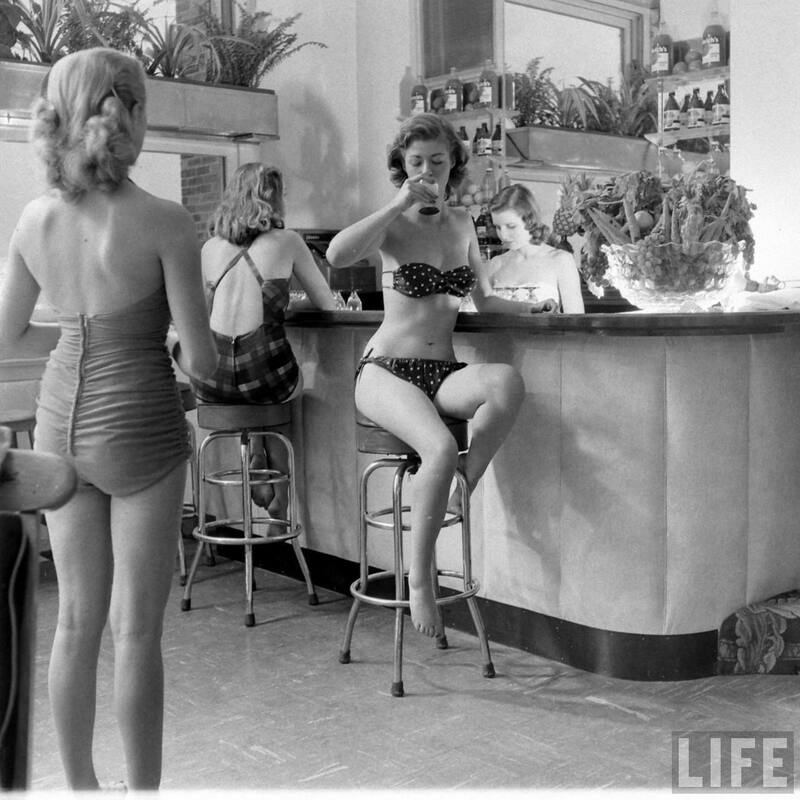 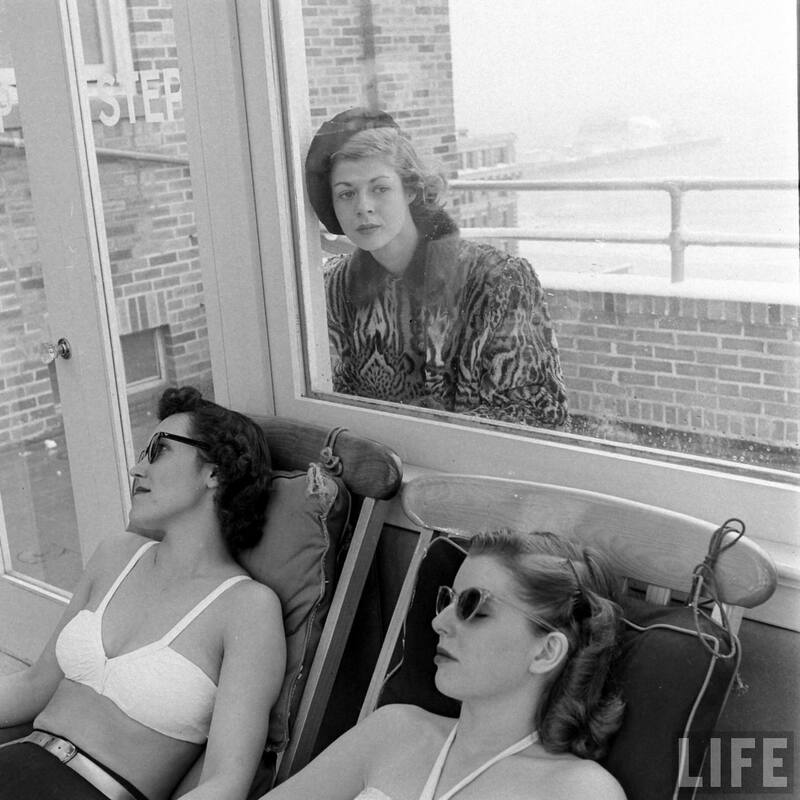 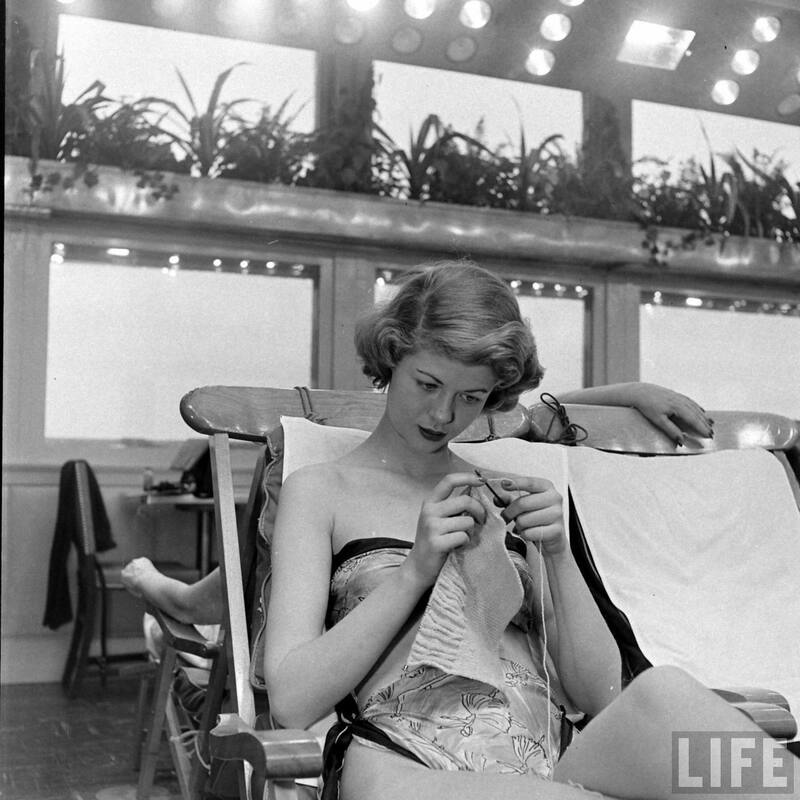 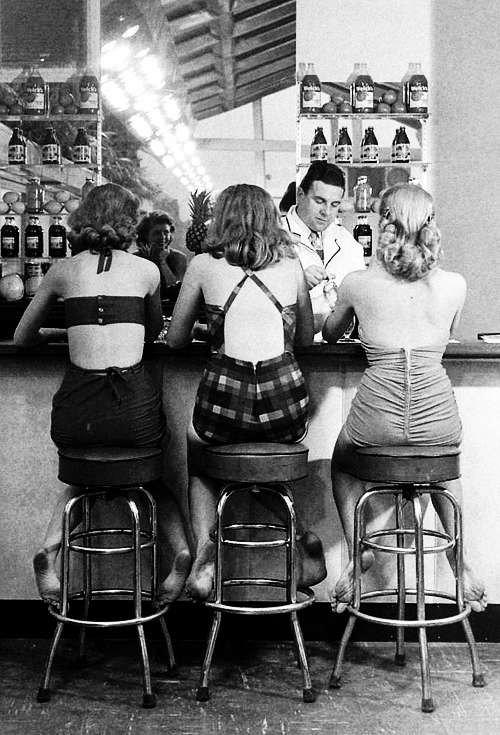 Photographed by LIFE photographer, Nina Leen, this is another forgotten photo story I’ve fished out of their archives with little information to go along with it, other than,”Roof Sunlamps, Senator Hotel, Atlantic City, January 1948″. 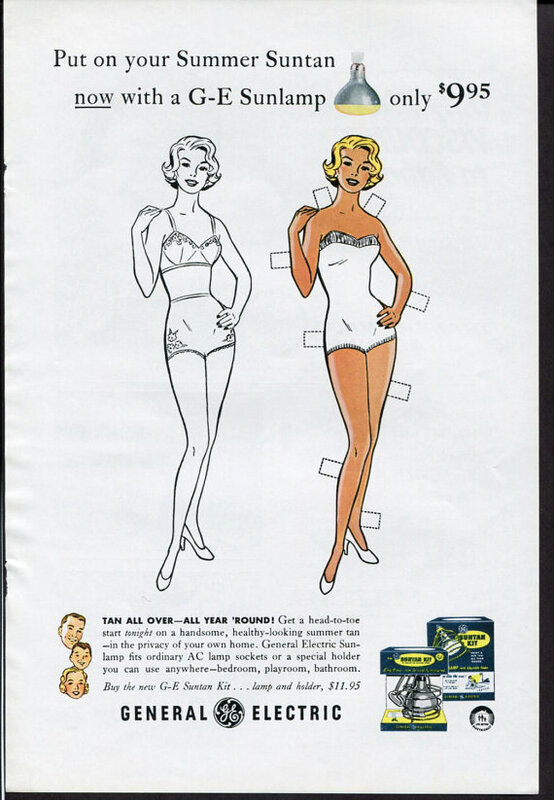 Below, I dug up this 1950s General Electric advertisement selling sunlamps that “you can use anywhere– bedroom, playroom, bathroom”, promoting the use of sunlamps for young children. 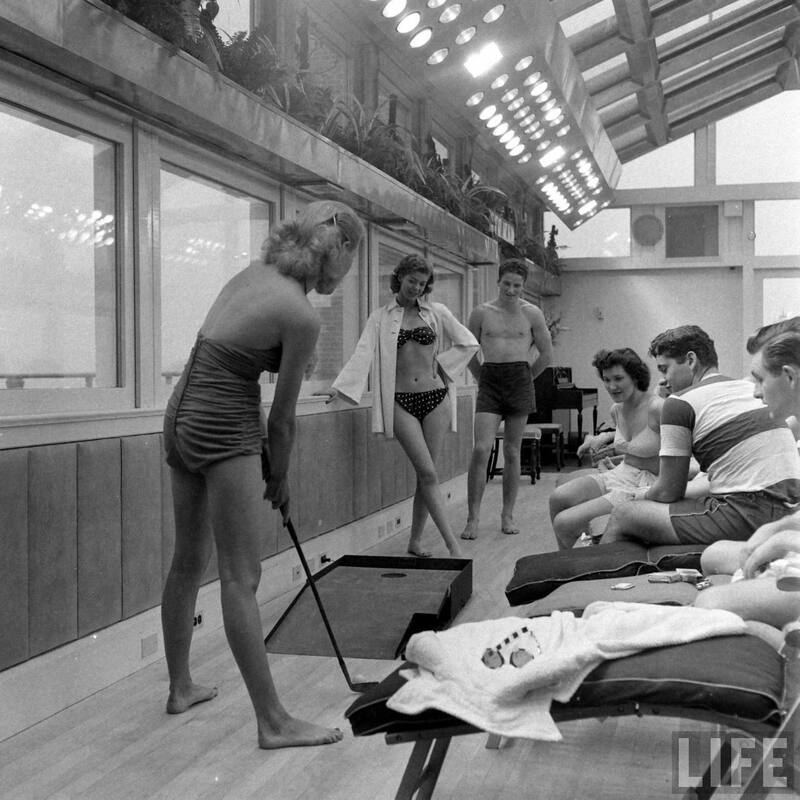 As much fun as it looks to strip down to your polka dot bikini and play mini golf while the blizzard rages on just outside, it’s just a little alarming to see how blissfully unaware all this was. 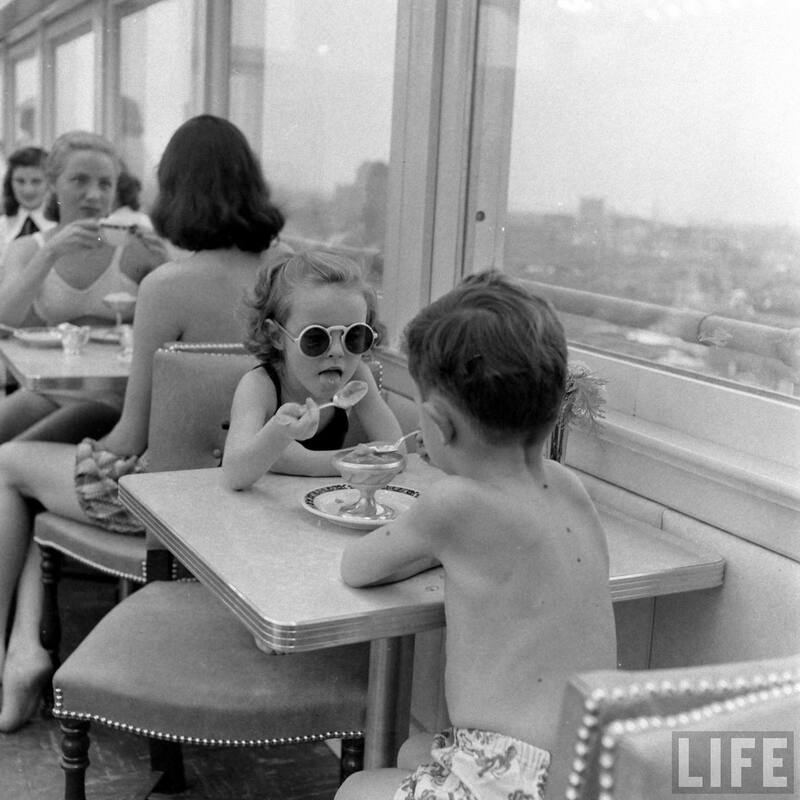 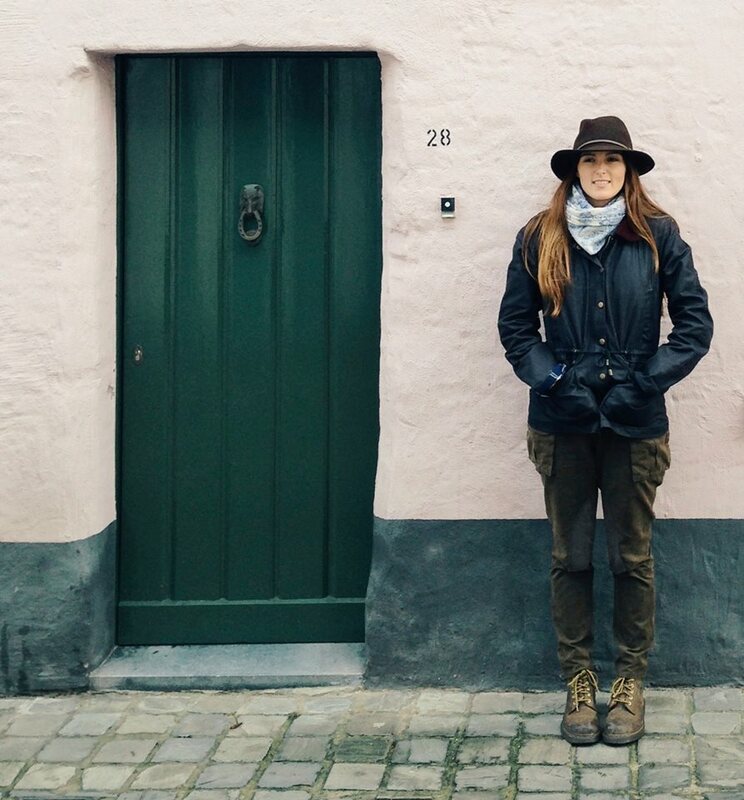 Then again, if someone had told me I could step out of this bone-chilling winter into summer through a single doorway, sip cocktails and eat ice cream at the same time, and doctors recommend it– hey, I’d probably be the first in line with my polka dots and flip flops. 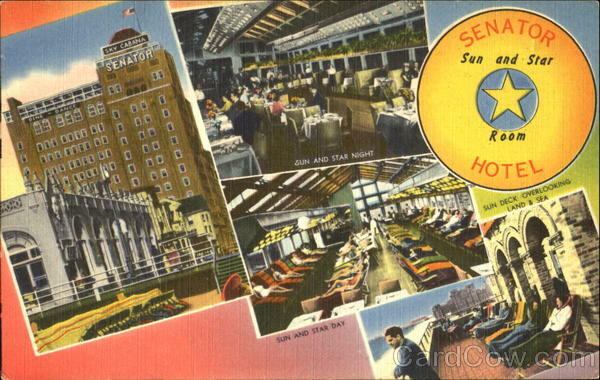 The Senator Hotel was demolished in 1998.